It looks amazing when objects mysteriously travel from one place to another. This device will enable you to do exactly that! Place 6 large soda bottles, one by one, in a paper bag. With a wave of the hand, magically show that the bag is now EMPTY! A soda box that has been on display the entire time is now covered for a brief moment. 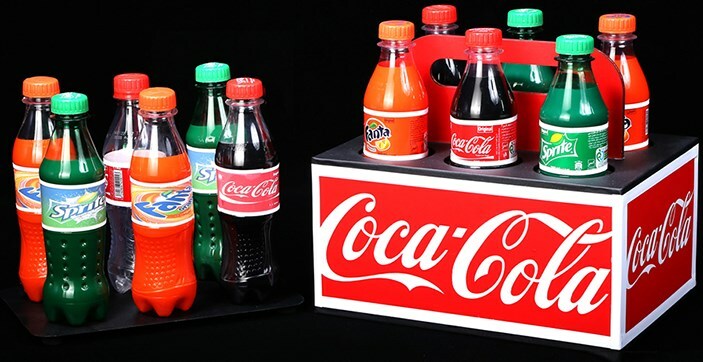 Upon removing the cover, all of the soda bottles have traveled inside the box! Your audience will gasp in delight!